Le Madeleine Bakery and Café offers traditional French cuisine both in a traditional dine-in restaurant. But it also has a delivery option from each franchise to your home, office, or catering event. Deliveries can be ordered via a smartphone app or over the phone by calling your nearest La Madeleine Delivery service or Restaurant. You can order from your local Madeleine Delivery and have a delicious breakfast, lunch or dinner and wine pairing right at your doorstep. Additionally, you can have year-round or seasonal baked goods made to order if you have a sweet tooth. Patrick Leon Esquerré immigrated to the United States and founded the first La Madeleine French Restaurant in Dallas, TX. The first one of its kind opened up in February 1983 next to Southern Methodist University, and it quickly became a popular dine-in restaurant. Its popularity soon led customers to demand more locations and delivery services, which it does out of selected locations around the country. New franchises have opened up and continue to do so in places like Colorado. In some franchises, the restaurant provides its own La Madeleine Delivery Service, and uses third-party vendors in others. Virginia: McLean (1 location), Bailey’s Crossroads (1 location), Alexandria (1 location), Reston (1 location). Deliveries begin at 7 AM – end at 9 PM. The deliveries start at 15 minute increments throughout the day. So, you can pick for example, 12:15 to 12:30, and then 12:30 to 12:45, etc. Expect a 15 minute window for your delivery order to arrive. You can make an ASAP order up to an hour before the schedule time frame. So a 12:15 order can be made as late as 11:15. Your catering order can also be scheduled for several months out if you are planning a big event and want to make sure it is in on time. All catering orders handled online should be a minimum of 50 dollars. There may be up to a 10 percent surcharge on large menu selections for breakfast. Smaller menu items may also have a surcharge up to or just below 10 percent of the order. For example, a small breakfast catering order may have around an 8 percent surcharge. There may be additional 10 percent surcharges on large lunch and dinner bundles of wine and food. But these depend on the size of your order. If your state has taxes on any catering orders, you can expect to pay the appropriate sales tax for your area. Orders are processed on the La Madeleine website using BringMeThat. More specifically, this is a third party payment processing website. However, all orders are encrypted and secure for quick and easy checkout. You can also order by phone. The website has a store location tracker where you can type in your zip code and see the nearest location to your event. You can find a list of phone numbers for each La Madeleine franchise on the website too. If you decide not to use the La Madeleine delivery service, you can also pick up orders at the restaurant by calling ahead and requesting take-out. You can view the full menu options by checking out the La Madeleine website. Have you tasted the food brought by La Madeleine Delivery Service? If you have, be sure to go to the company’s Facebook and other social media pages to describe how your experience was. They would love to hear your feedback. Moreover, if there’s anything you loved or anything we can improve, they might want to know and even consider. 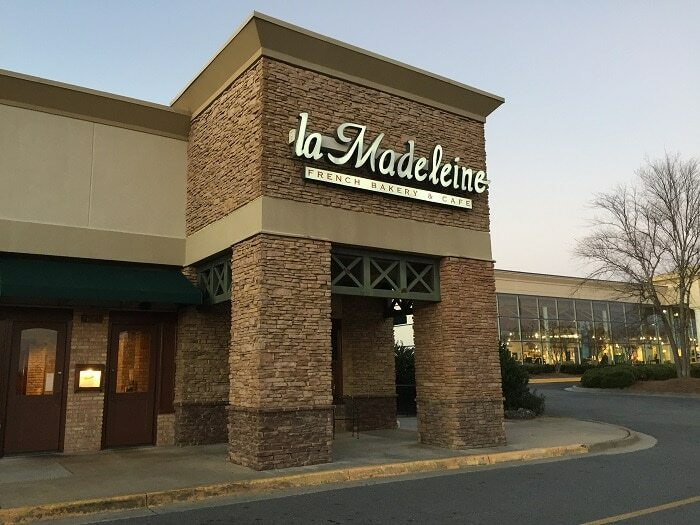 There are several locations around the country where you can find your nearest La Madeleine restaurant. But you can find them using the location tracker online. Deliveries run almost the entire day, from 7 AM to 9 PM. Also, there are certain surcharges which will apply, plus a 50 dollar order minimum out of some locations. Hey Buddy!, I found this information for you: "La Madeleine Delivery 101: Areas, Hours, Fees". Here is the website link: https://all2door.com/la-madeleine-delivery/. Thank you.